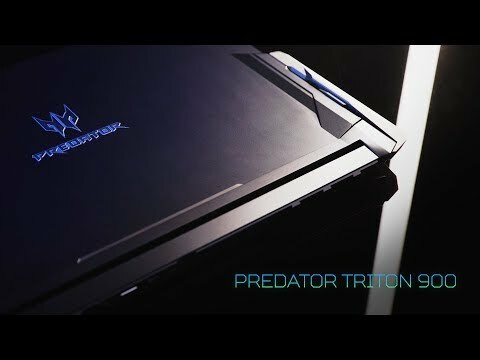 predator design, forged to evolve and shatter the mold The Predator Triton 900 is a modern gaming laptop, created to bend to your will made with premium quality CNC-machined hinges. Featuring a 17.3-inch IPS panel and UHD 4K display. Powered by an 8th Gen i7 8750H Hex-Core Processor and includes a NVIDIA GeForce RTX 2080™ graphics card. Featuring NVIDIA® G-SYNC® which cleverly reduces screen tearing in fast-paced games, so that you have an unbelievable experience. Includes 16GB DDR4 memory, plus a 512GB M.2 NVMe SSD for the ultimate storage. For immersive gaming hook up numerous displays to play around with including the laptop screen, simply by connecting via the HDMI 2.0, Display Port or USB-C™ Thunderbolt™ 3 ports. The innovative AeroBlade™ 3D Technology keeps your system calm at all times with two fans, while you game and achieve a smoother system. The low-profile keyboard of the Triton 900 lights up with Per-Key RGB lighting and features various colour patterns to choose from. 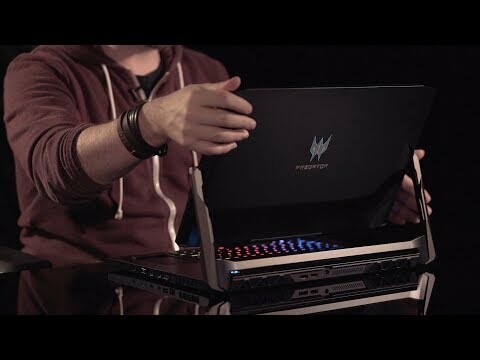 Not your ordinary Gaming Laptop This laptop is the first of its kind with a screen that gets right in your face and also bends to the perfect viewing angle. 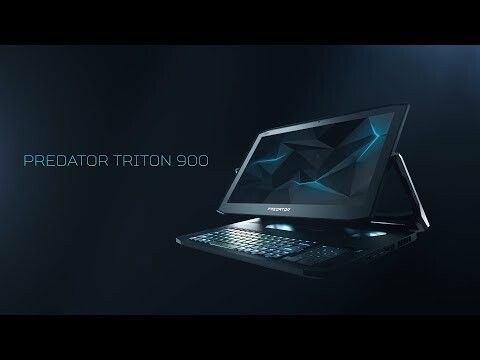 The Predator Triton 900 is not your every day gaming laptop, as to the sides of the touch display are two CNC-machined Ezel™ Aero Hinges, that grip the screen effortlessly in a tight embrace. Enclosed in the metallic body, the LED-lit Predator bursts into life in an instant. experience lag-free gaming with nvidia® g-sync® The Triton 900 laptop features a 17.3-inch IPS touch panel with 4K, 3840x2160 (Ultra HD) resolution. Say goodbye to a blurry screen and experience smoother, tear-free gaming with the power of NVIDIA® G-SYNC® Technology. Games in 4K look amazing, most things do, so don’t miss out on these stunning visuals. change to suit your view The Predator Triton 900 completely adapts to your situation whether you're gaming or watching a film. switch up your angle With this laptop choosing the right mode for the right moment is vital. Whether its notebook, Ezel™, display or stand. ultra thin design Shape the laptop to style or use with the innovative design by Acer, engineered for the utmost portability. load faster, play sooner This powerful gaming laptop by Acer includes an Intel 8th Gen Core i7 8750H Hex-core Processor and a GeForce RTX™ 2080 graphics card. With 16GB of DDR4 memory at 2666MHz and a 512GB M.2 PCIe SSD using NVMe technology in Raid 0. The result is an unquestionably insane performance that yearns for a real challenge. 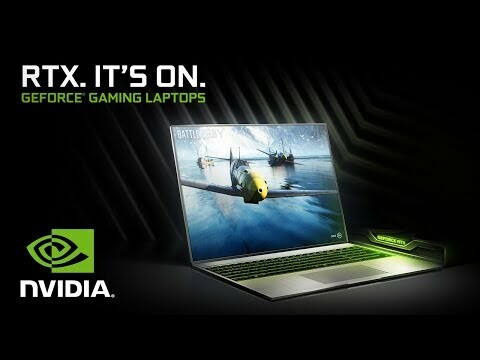 see the difference in geforce performance You can rely on the fastest, most representative, AI-enhanced gaming experiences with GeForce RTX™ gaming laptops. The Triton 900 includes an RTX™ 2080 graphics card, the NVIDIA Turing™ GPU architecture and the revolutionary NVIDIA RTX™ platform. Add an extra layer of realism to your games. Ray tracing simulates the true behavior of light to bring real-time, cinematic quality rendering to the most visually intense games. The revolutionary NVIDIA Turing™ architecture fuses together real-time ray tracing, artificial intelligence, and programmable shading for a whole new game experience. connect through HDMI, Display Port or USB-C™ Thunderbolt™ 3 Play your favourite games on an extended scale, by simply joining up extra displays through the HDMI 2.0, Display Port or USB-C™ Thunderbolt™ 3 ports. You can experiment with an extensive array of I/O ports, you can also hook up three external displays or utilize the hidden XBOX wireless dongle slot for some wireless gaming. Online, refine your skills with greater accuracy (and ping) with the aid of Killer DoubleShot™ Pro and 2.5G Gigabit LAN. type or tap away with ease The Predator low-profile keyboard is Per Key RGB backlit, which gives you meaningful actuation and an audible click that only mechanical switches are capable of. You can switch between the trackpad and numpad without a hitch. With up to 16.7 million colours, the colour palette is whatever you choose. Light up every key individually in multiple dynamic patterns at the ready. 4th GEN AEROBLADE™ 3D cooling design The latest generation’s new effective design diminishes noise while improving airflow, enabling you to maximize your performance whatever the task may be. The Triton 900 utilizes two 4th Gen AeroBlade™ 3D fans, that deliver airflow effectively and you can see one of the two fans through the Corning® Gorilla® Glass cover.